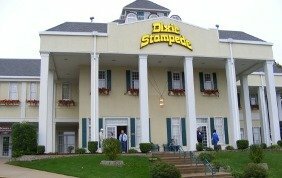 Branson MO shows continue to offer new and renewed entertainment each year in a variety of forms. Comedy and Country ignited the Branson area years ago and still highlight each season, but Branson has grown into so much more. Musical and Theater productions that rival Broadway, Pop, Rock and Motown that take you back to the wonderful musical era of the 50's, 60's and 70's, magic and acrobatic theater and much more are offered all year among the various Branson Shows . The variety of entertainment weaves itself into so many of the productions in today's Branson with so many theaters offering those one of a kind shows that just can't be categorized. One of the refreshing attributes of the Branson Show scene is the series of limited engagements of some of the top entertainers of today and yesteryear. Nearly every week will find famous artists arriving to showcase their talents in Branson. It is a fun place to be and a wonderful place to vacation. We will be featuring shows throughout the year, so we hope you will return to our pages to see what's happening in the Branson show town. Our first featured show is the Hughes Brothers "It" Show . It's a great show so check out our review.